At the moment, Doctors Makeover mainly focuses on non-surgical procedures despite the fact that Doctors Makeover is still registered as a service provider of "Surgical Procedures", by the UK regulatory body the Care Quality Commission (CQC), under the Health and Social Care Act 2008. Safe: We adhere to a safe and transparent process in dealing with our clients. Quality: We have the functional and technical abilities to meet your expectations and cosmetic needs. 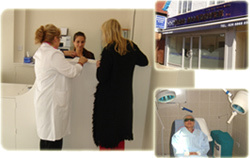 Customised: We offer individualised cosmetic care to our clients. Experience: Doctors Makeover has been operating from June 2000 and our cosmetic therapists' experience, artistry, vision of beauty and skills makes us different when it comes to cosmetic treatments and final outcomes. Safe-hands: Low complication rates in our therapeutic procedures. Popularity: Our clients recommend us to their family members and friends and often use our services again. Impartial advice: Free no obligation consultation with our therapists. Affordability: You put your confidence in us, and we hope to offer you "the best care at the lowest price for our offered cosmetic treatments"
DOCTORS MAKEOVER is the trading name for Doctors Makeover Limited. Companies House Reg. No: 6391857. Address: 110 Marsh Road, Pinner, Middlesex HA5 5NA, UK. All Rights Reserved.